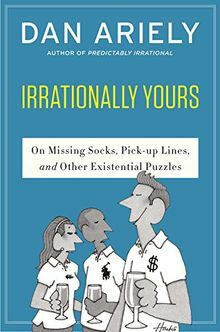 Bestselling author Dan Ariely teams up with legendary New Yorker cartoonist William Whaefeli to present an expanded, illustrated collection of his immensely popular Wall Street Journal advice column "Ask Ariely". Using their trademark insight and wit, Ariely and Whaefeli help us reflect on how we can reason our way through external and internal challenges. Readers will laugh, learn, and most importantly gain a new perspective on how to deal with the inevitable problems that plague our life.